If you are looking for a high level of protection and security, both OneVPN and TigerVPN are excellent choices, so you cannot go wrong no matter which one you opt for. However, if you wonder which one of these packs more handy features and offers better services in general, this OneVPN VS TigerVPN comparison can answer all of your questions and help you make the right choice. View our detailed comparison below and discover which service is one step ahead of its competitor. OneVPN is a minimalistic VPN provider located in Hong Kong. Offering just basic VPN features, it is a good solution for beginners without prior technical knowledge. TigerVPN is a budget-friendly VPN provider with good service boosted by the exemption from EU data retention legislature. They offer a decent level of online security with a selection of pricing plans for every pocket. I purchased a "lifetime" subscription with OneVPN.com. I used it for a month, then downloaded their upgraded client and was unable to log in. The website has no way to automatically reset your password. Instead, a popup tells you to send an email to support@onevpn.com. I have requested a password reset four times by using their support@onevpn.com email address and have not received a reply to any of my emails. I went on their website and tried to use their 24/7 chat and the "Submit" button is missing, so chatting is impossible. This company is based in Hong Kong and I have not been able to contact anyone to reset my password. If this company is not a scam, then prove it. Nothing special about this one. There are much better (and secure) optionbs out there. Very easy to use even for tech ignoramuses like me. Pretty fast and all but doesn't unlock Netflix. Neat little vpn with best speeds I've come across so far. The only vpn that actually managed to increase my speed. I really wanna see a kill switch in future updates. It really works with netflix. Very other vpn I used got caught. TigerVPN was founded in 2011 and relaunched in 2016. It operates from Slovakia, which is a veritable haven for VPN services. 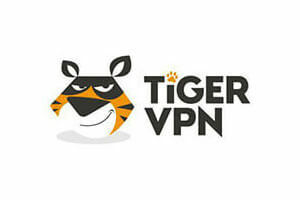 To find out more about this VPN provider, read our dedicated TigerVPN review.